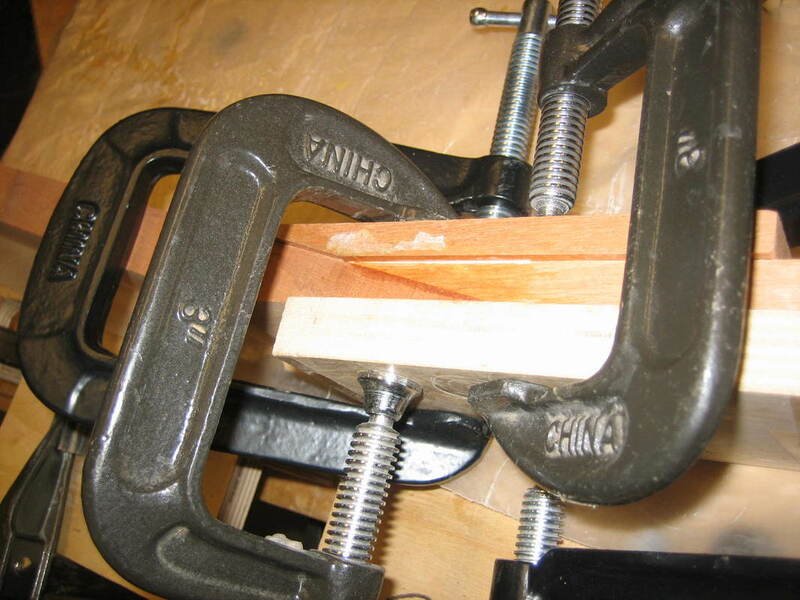 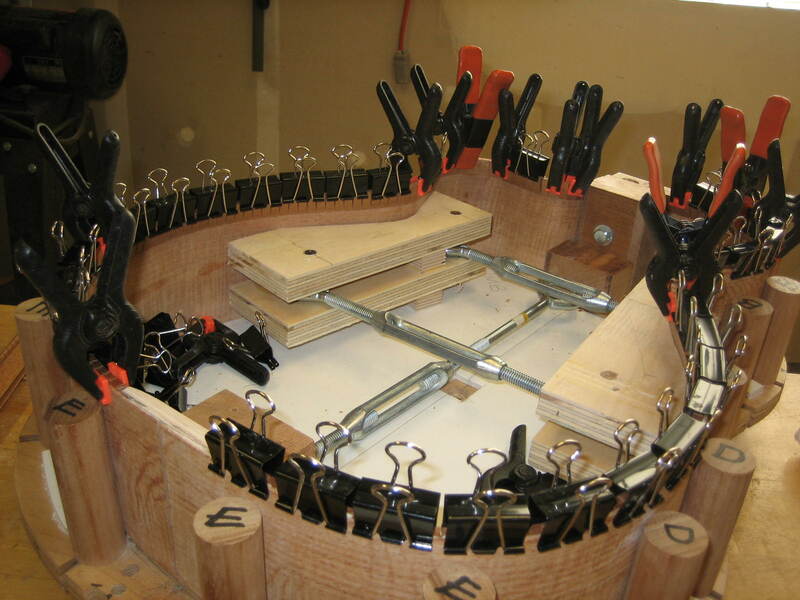 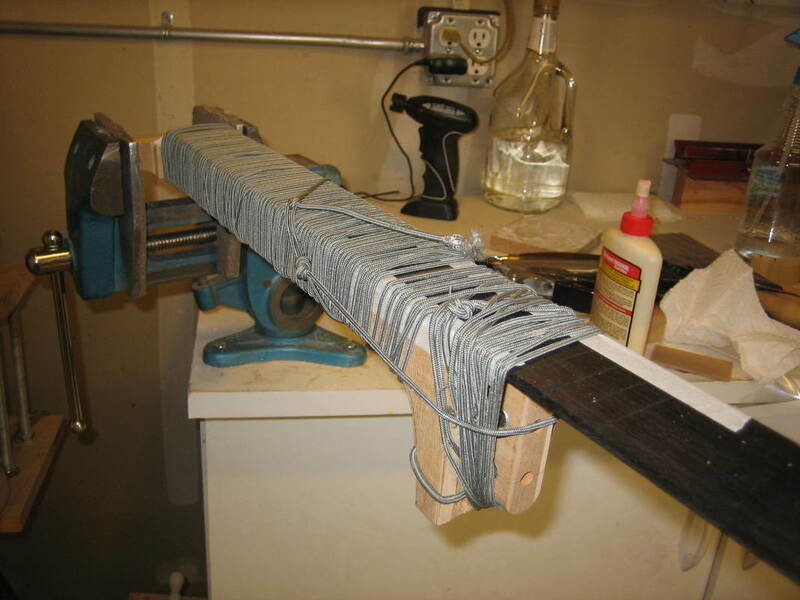 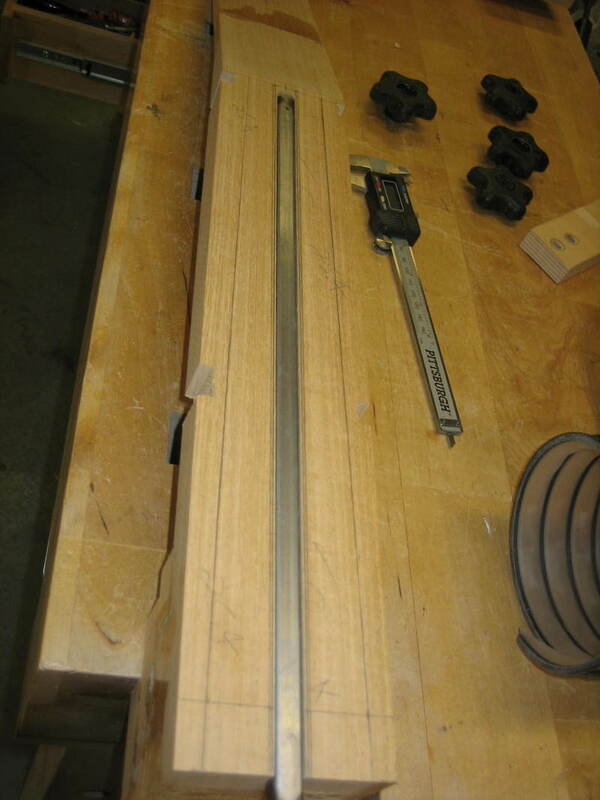 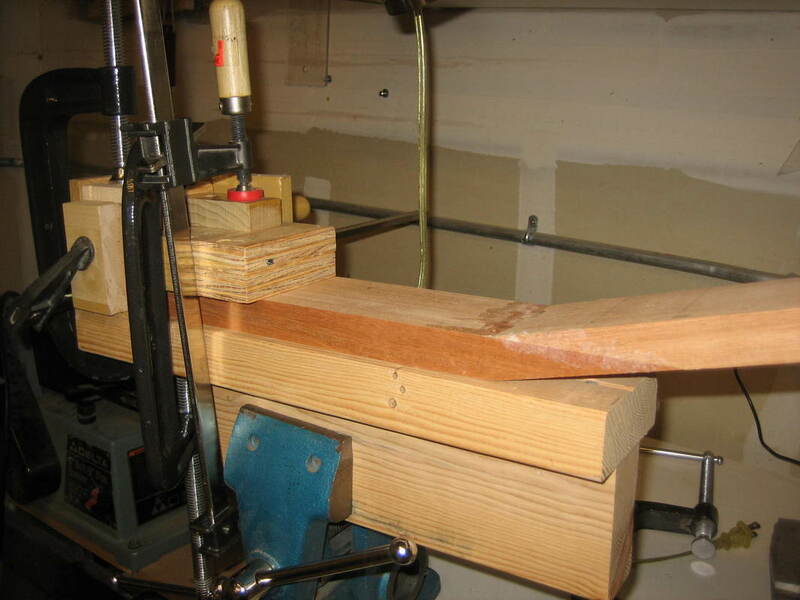 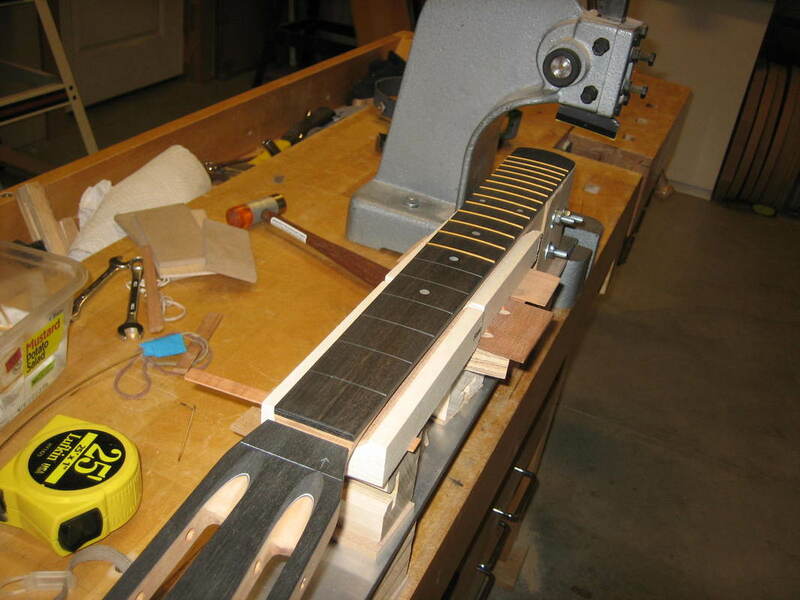 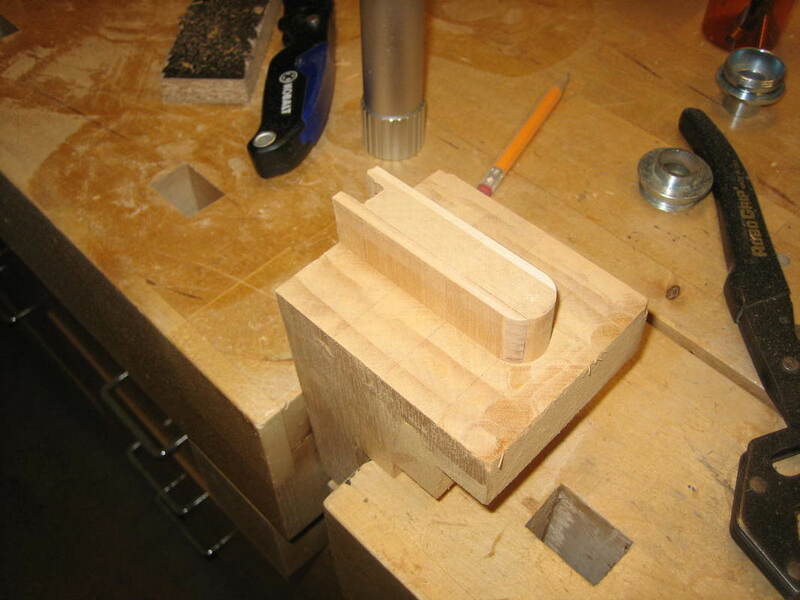 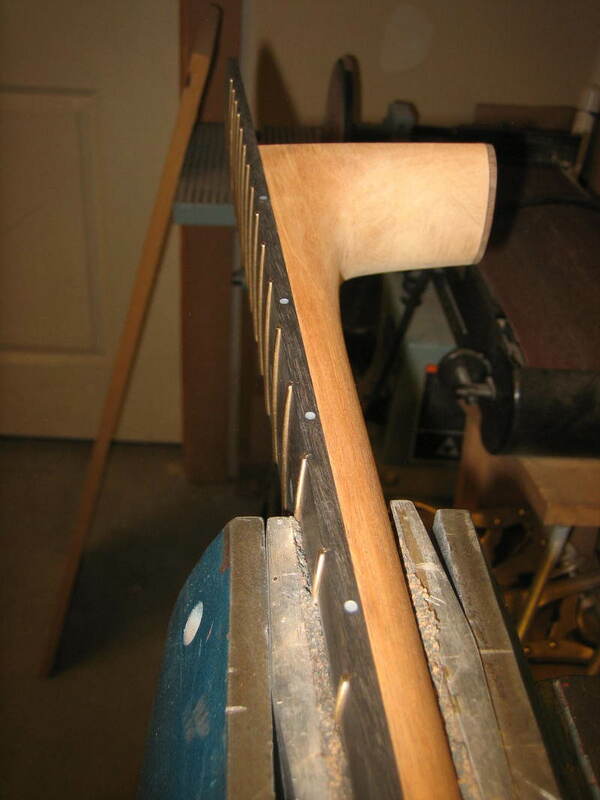 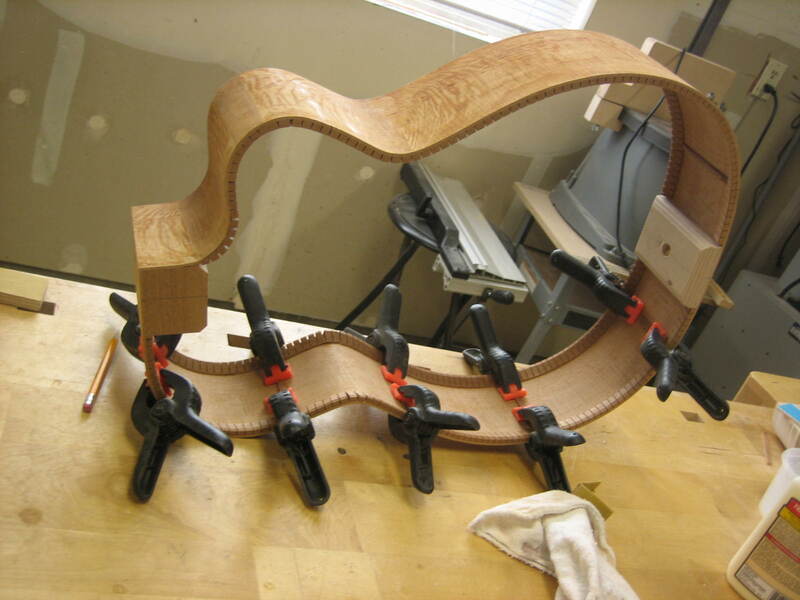 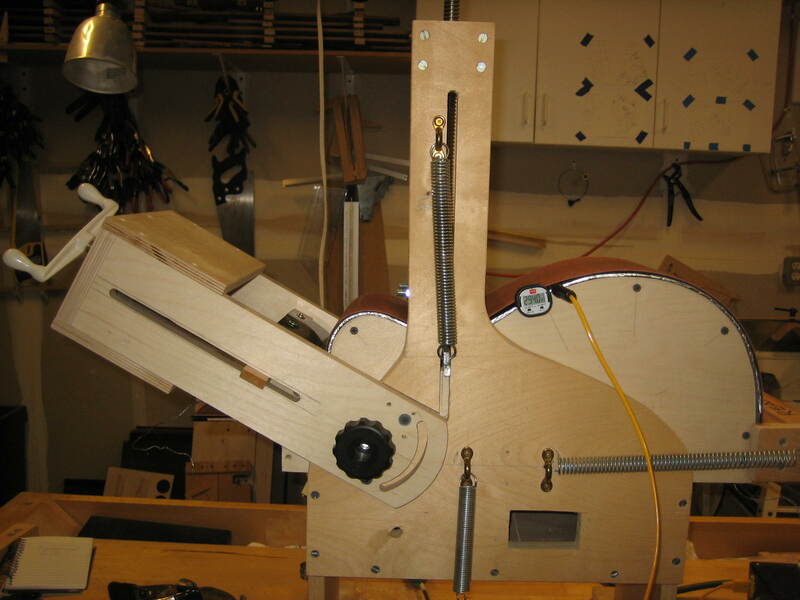 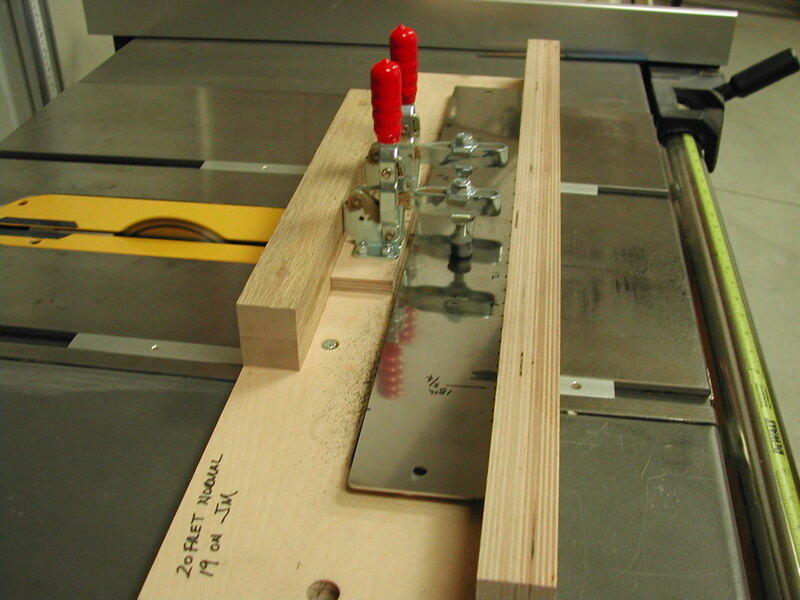 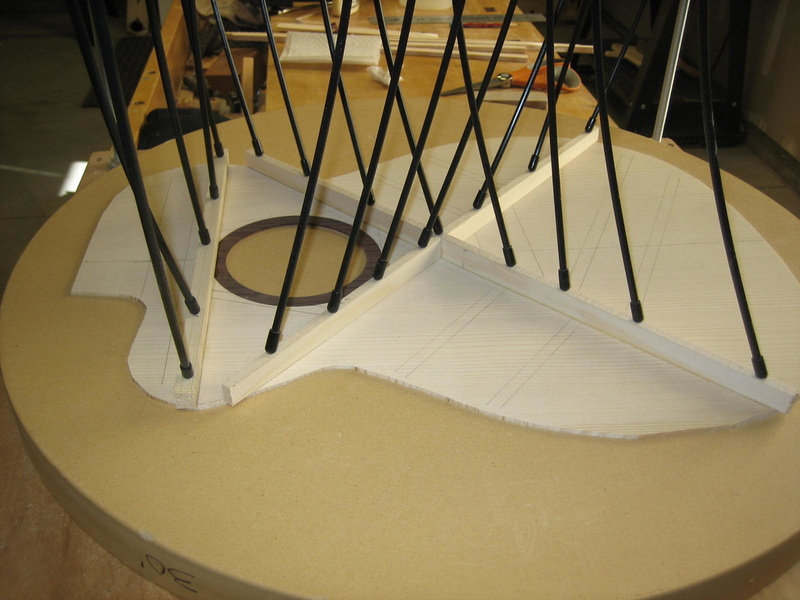 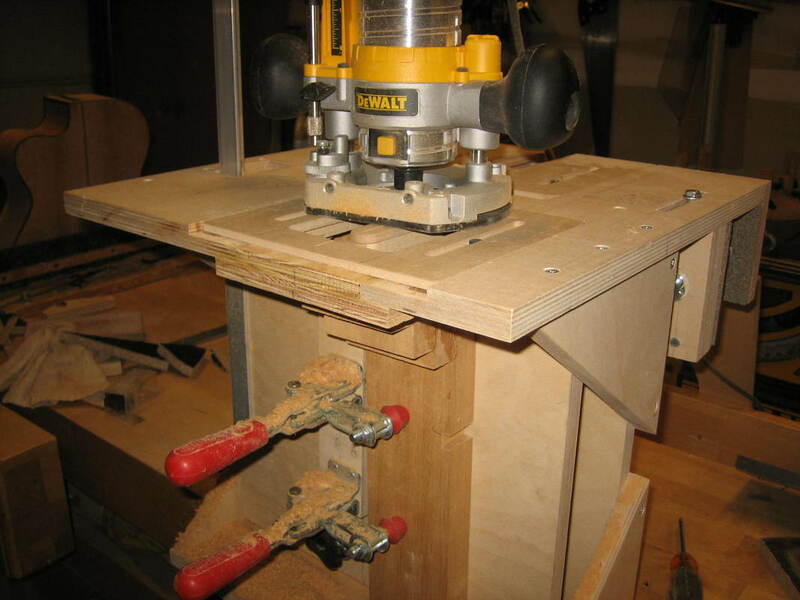 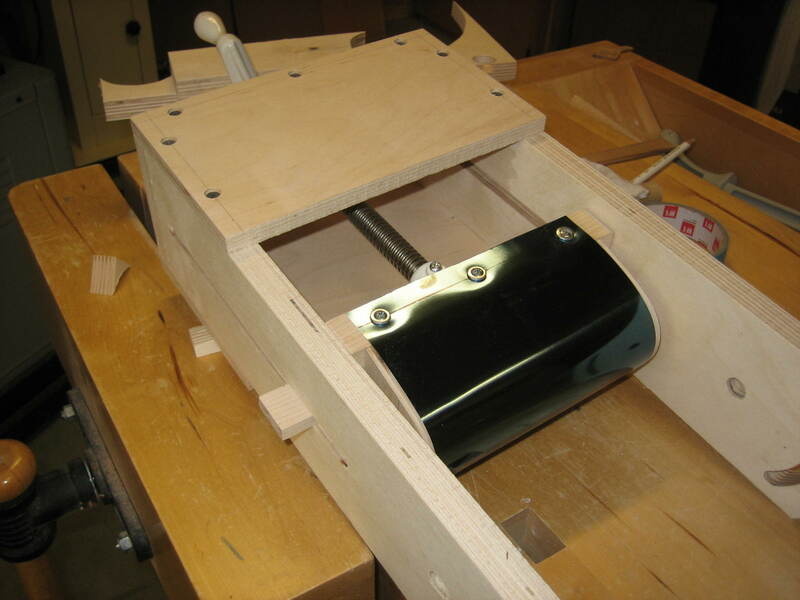 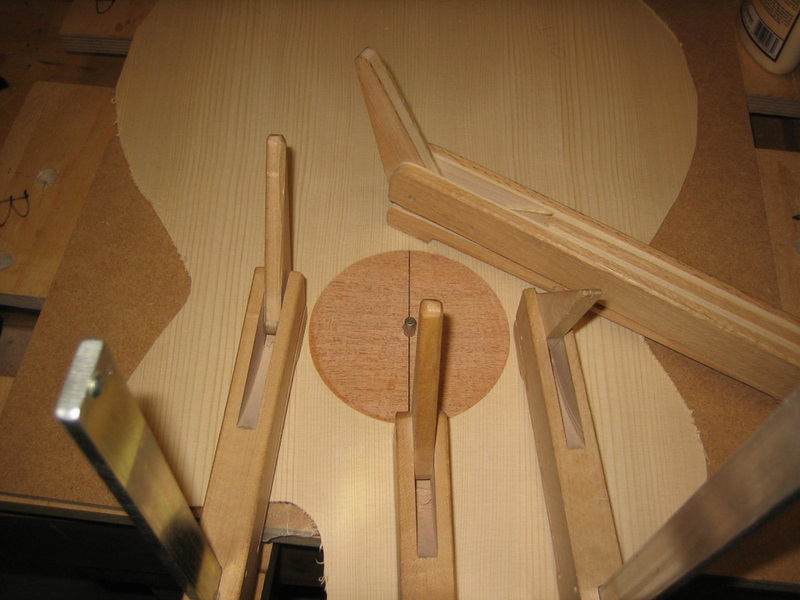 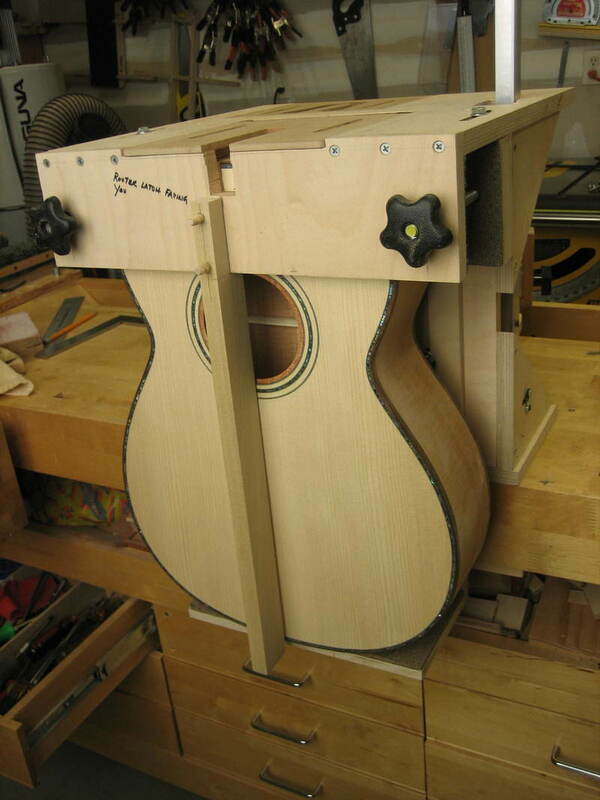 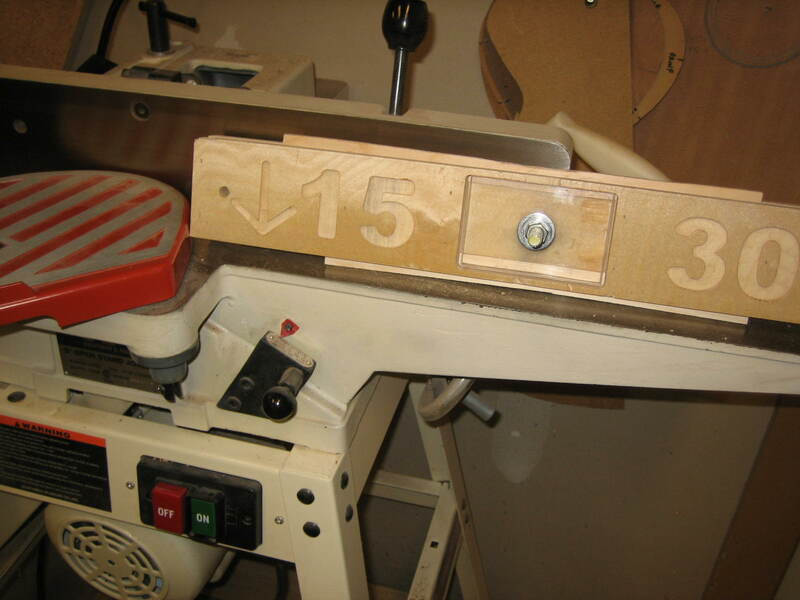 I am building an OOG model cutaway guitar for Sunny Jim, James White. 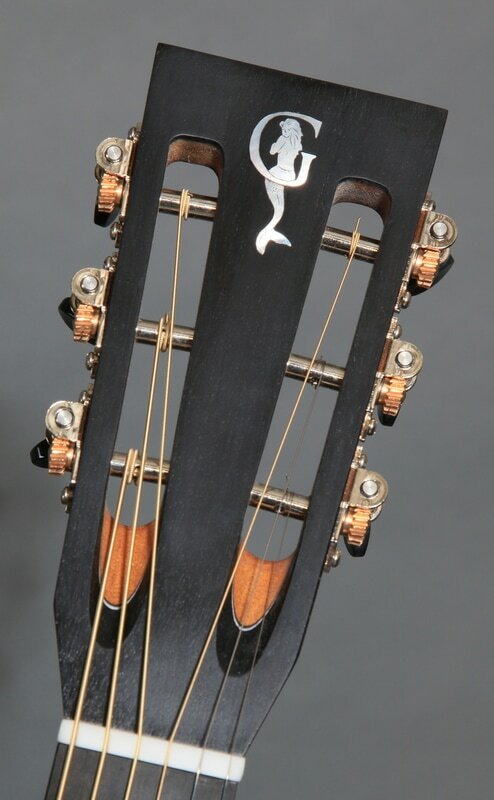 Sunny Jim is an extremely talented musician, singer and songwriter. 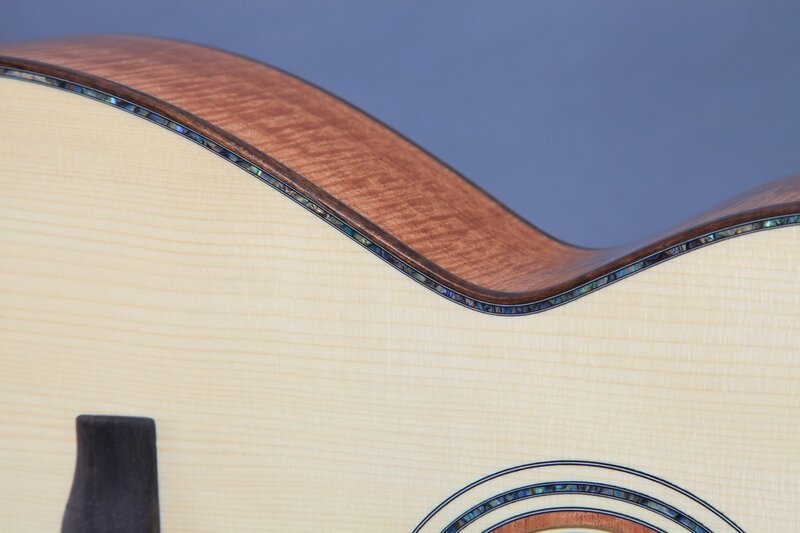 The TropRock Music Awards have honored him with 8 male vocalist of the year awards as well as his most recent 2016 album of the year award. 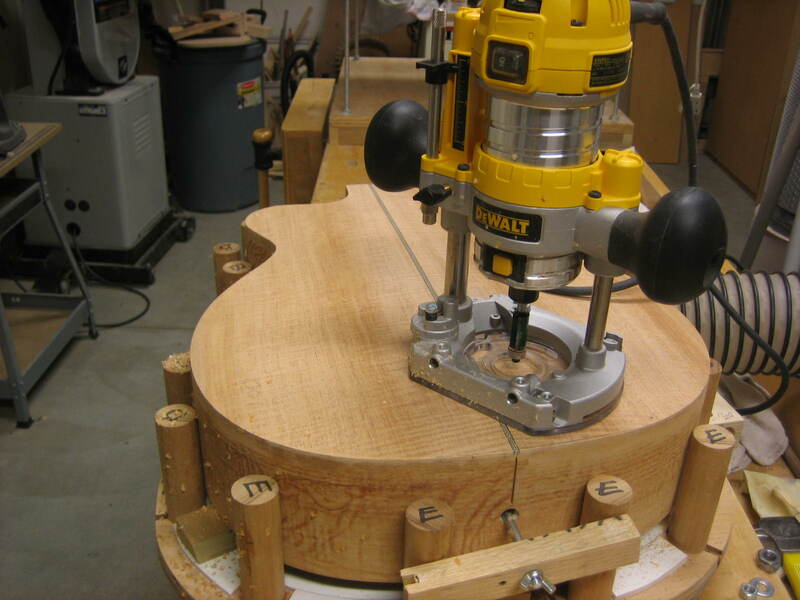 I am very fortunate to be building a guitar for Jim. 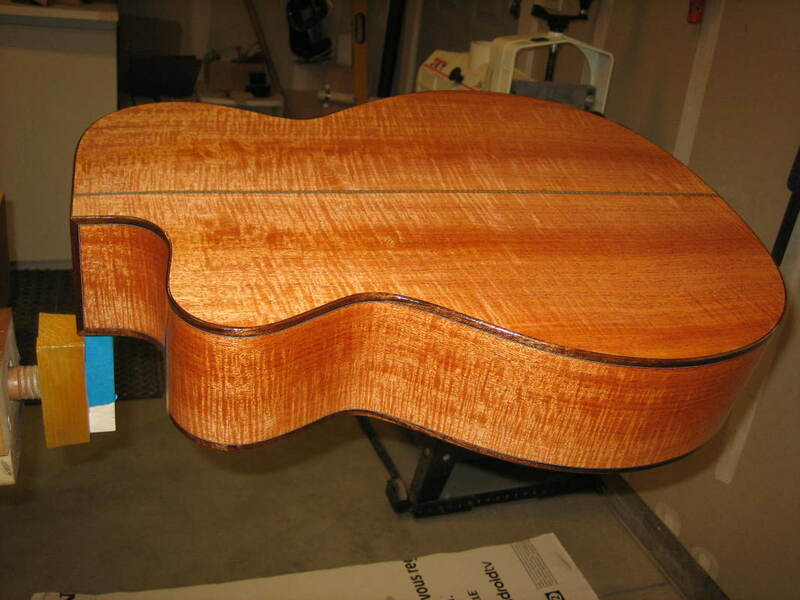 Jim has chosen Mahogany for the back and sides of this guitar. 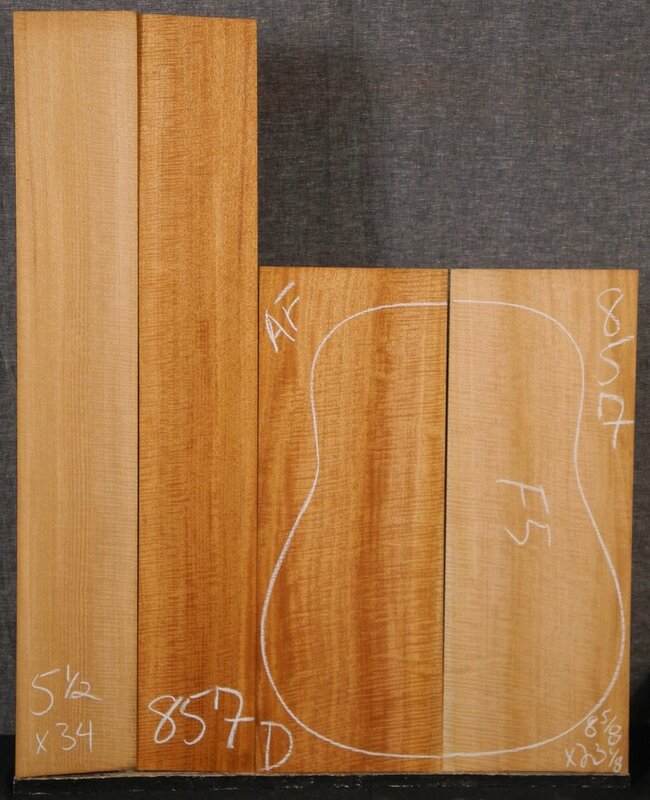 I have found a beautiful set of 'fiddleback' Mahogany. 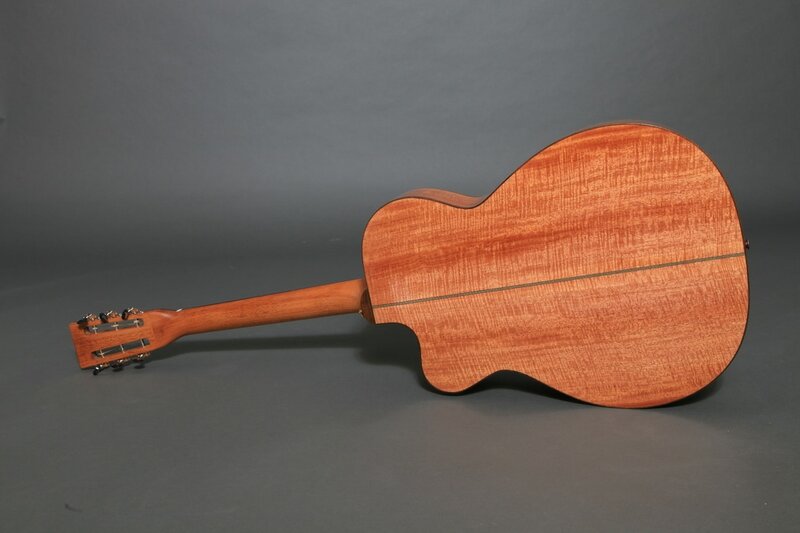 This set was harvested in Southern Mexico where a system of Government and Mayan communities work together to create a sustainable Mahogany forest for future generations. 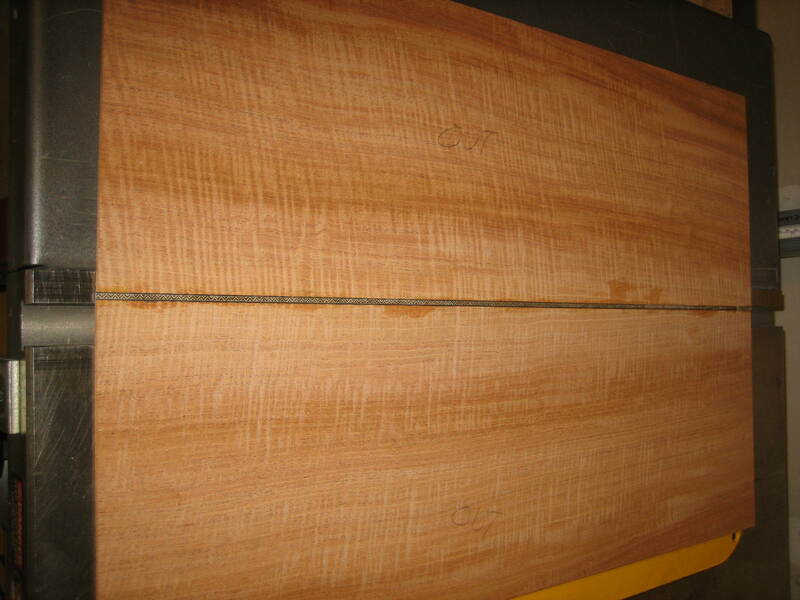 They will plant more that 100,000 Mahogany seedlings this year. 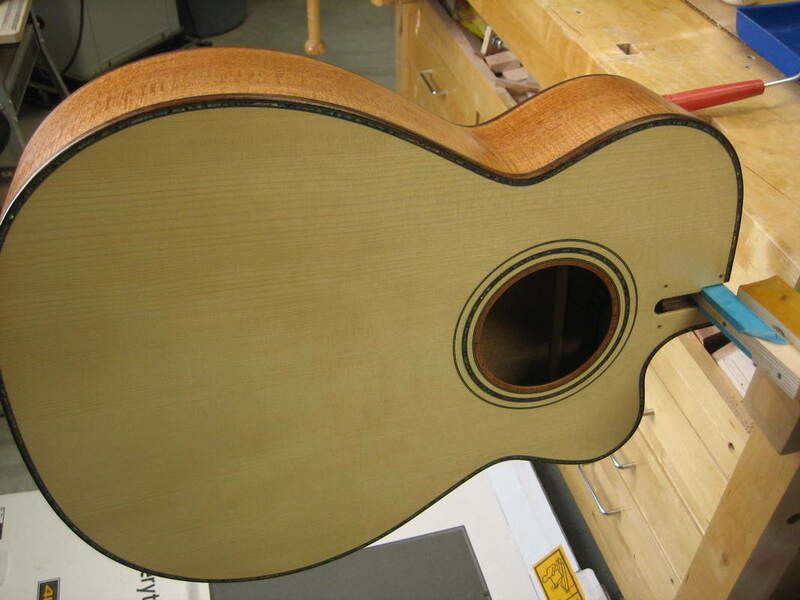 Jim has named this guitar 'Grace'. 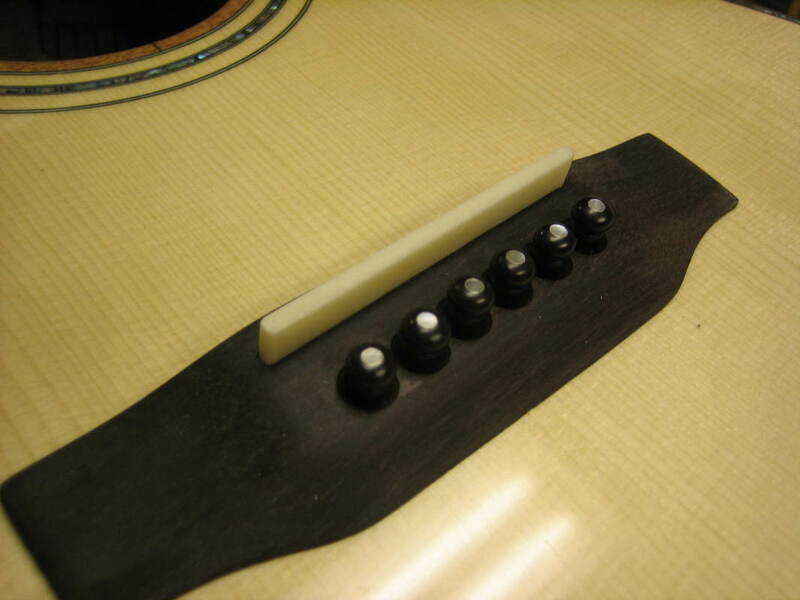 We will be using a very nice Adirondack Red Spruce sound board and ebony fret board, bridge and peg head. 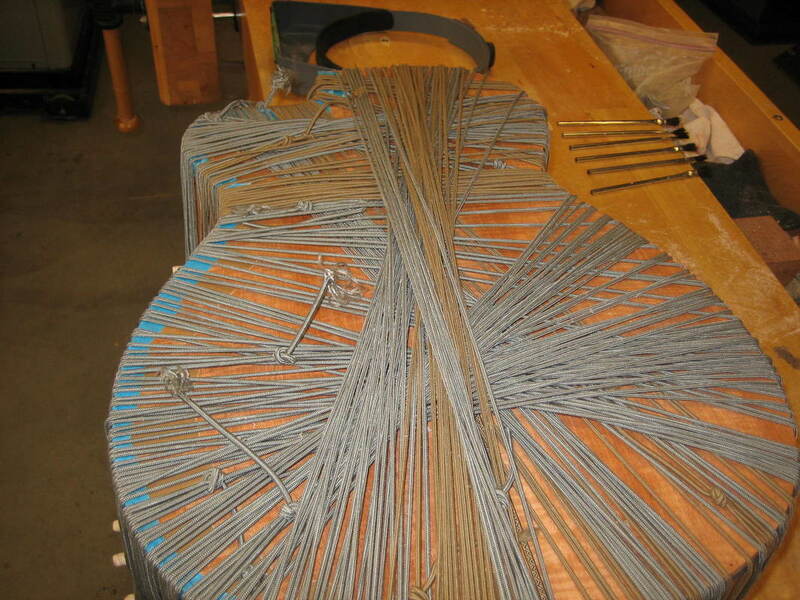 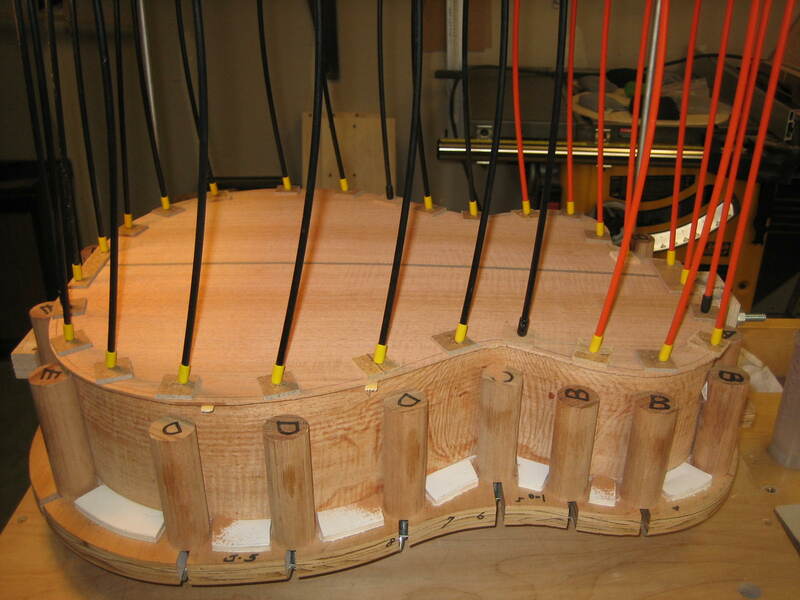 Back has been mated with center zipper line back strip and thinned to 0.080"
Interior center reinforcement strip and guide lines for back braces added. 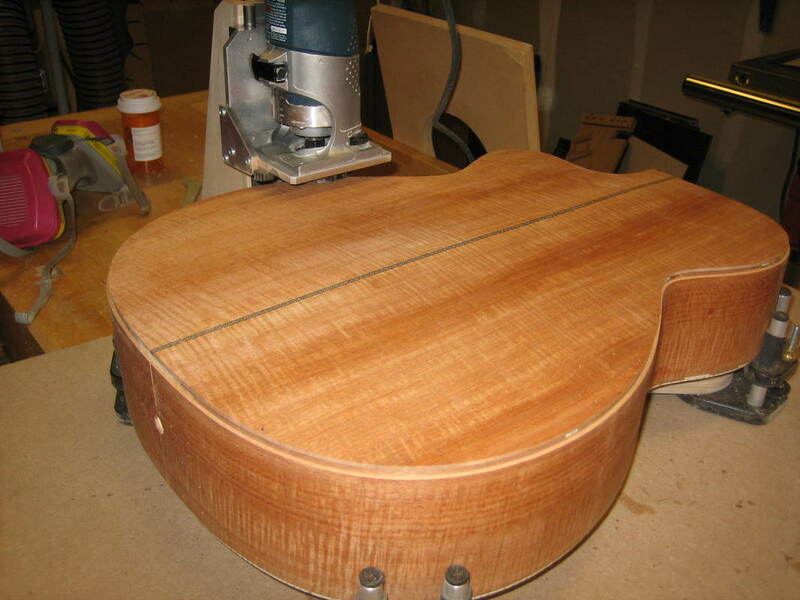 The sound board is a very nice piece of Adirondack Spruce. 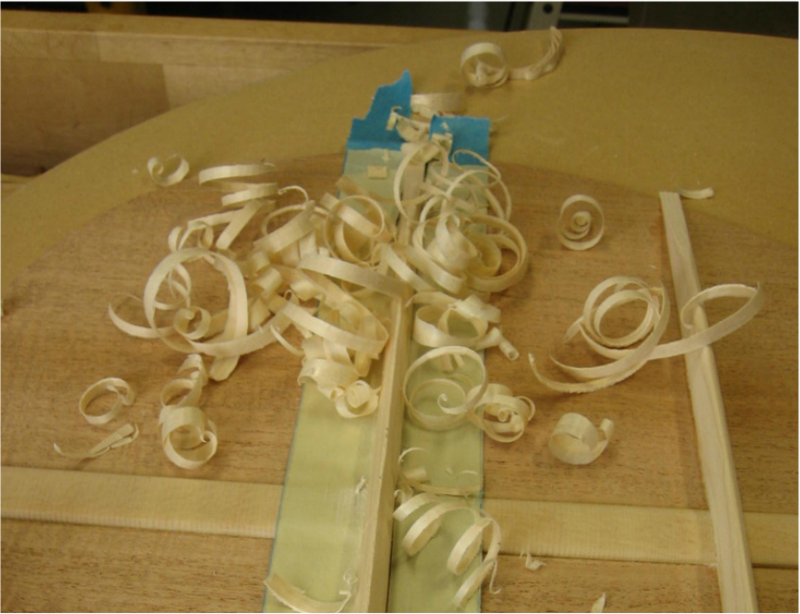 I start by joining the 2 book matched plates and thinning them. 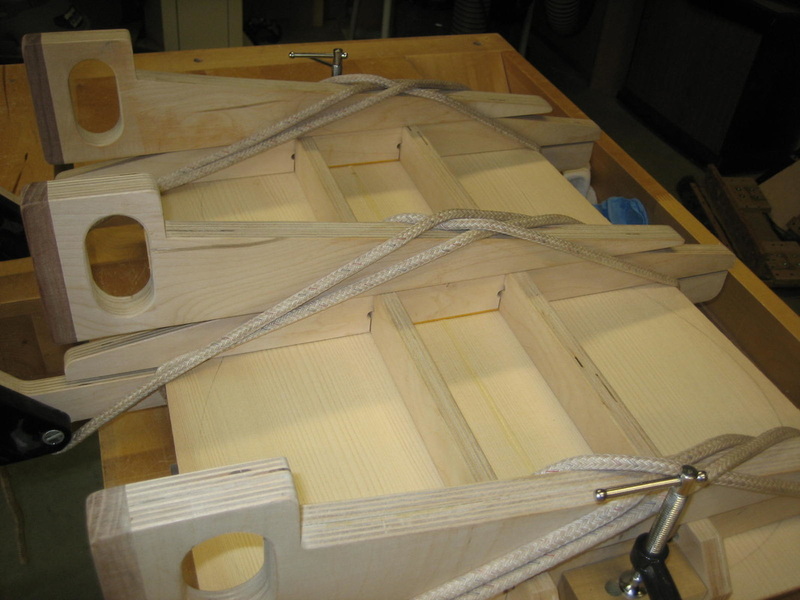 Sealing the sound box with finishing epoxy to fill pores and give a smooth surface for finish to be applied. 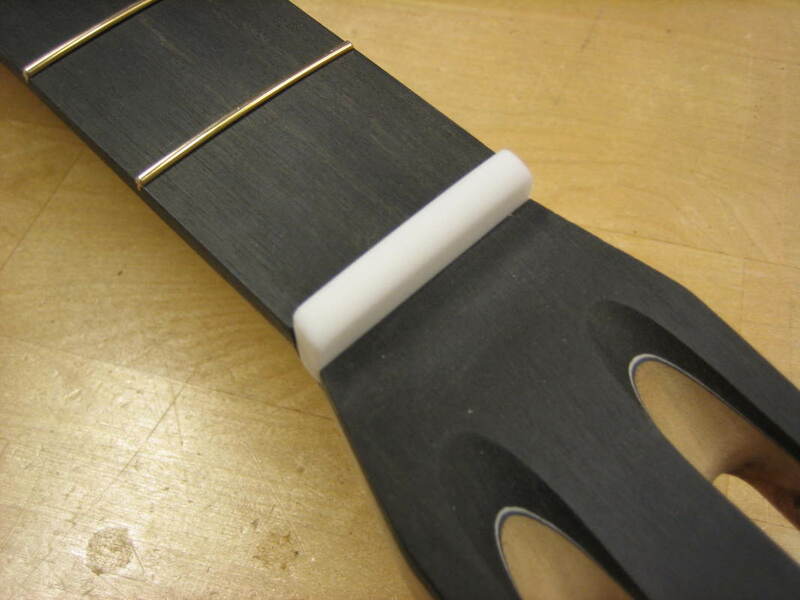 3 to 5 coats of epoxy - sanding between coats. 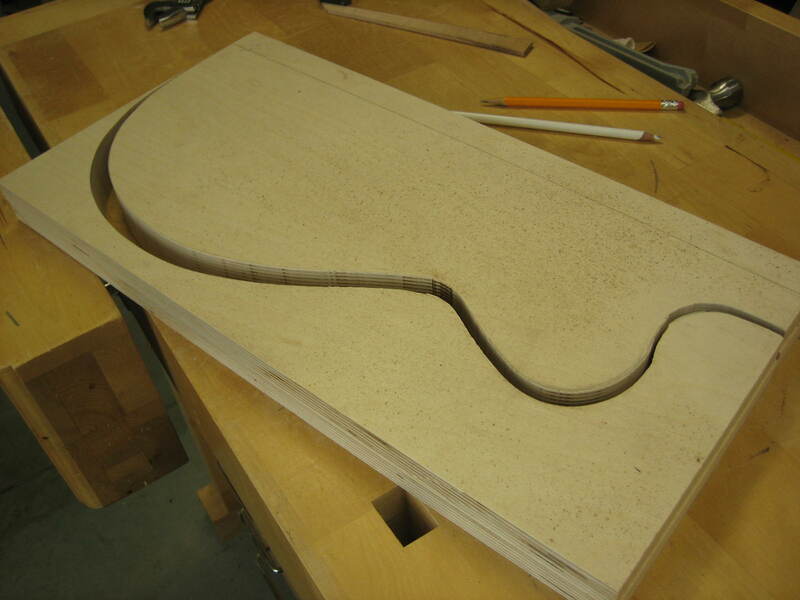 I will be inlaying a 'G' & mermaid on the slot head of this guitar. 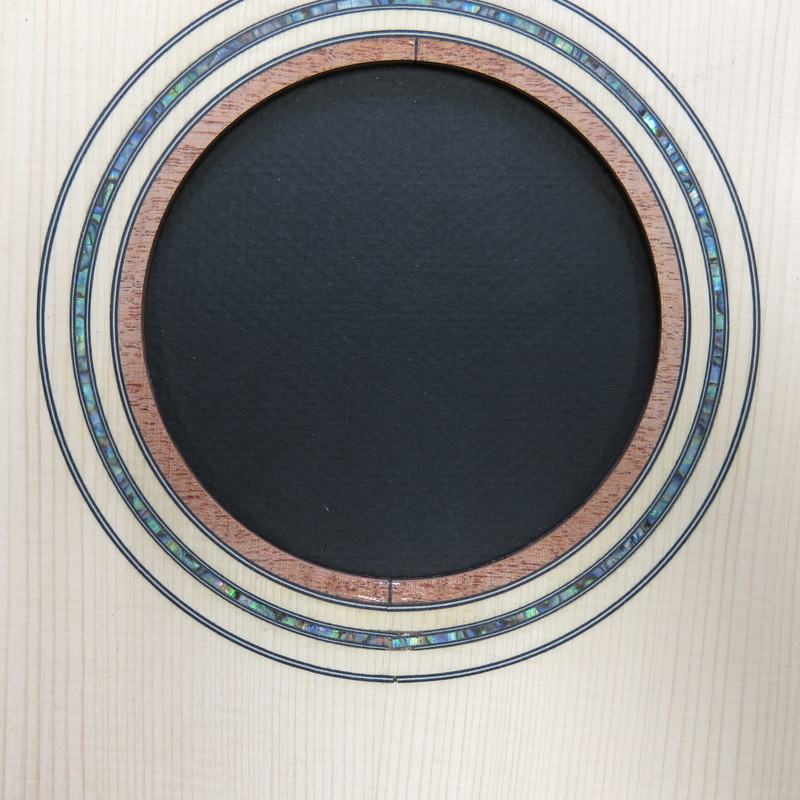 Jim's daughter, Hallie, designed the inlay. 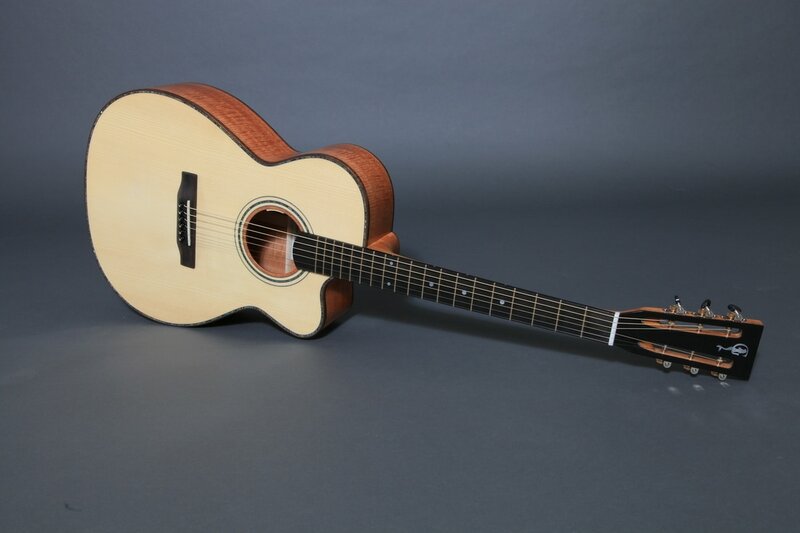 Very cool, super nice design!! 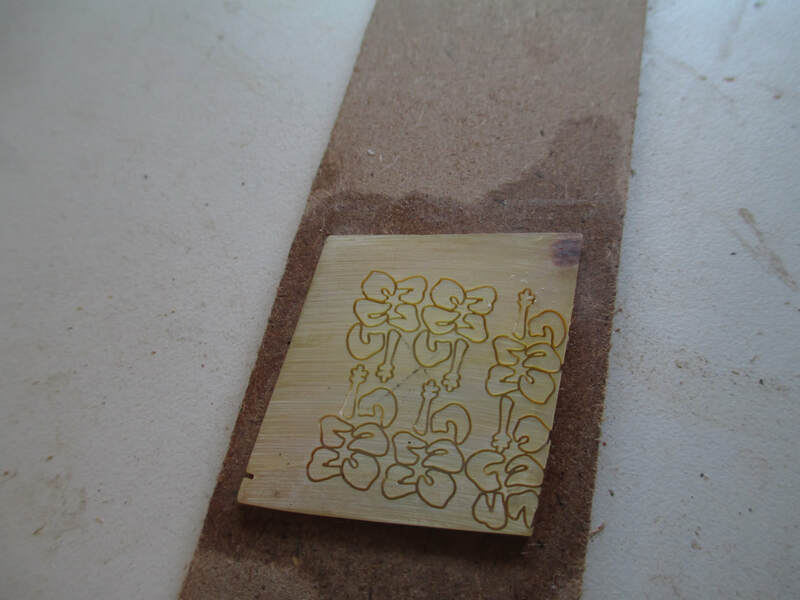 Thanks Hallie! 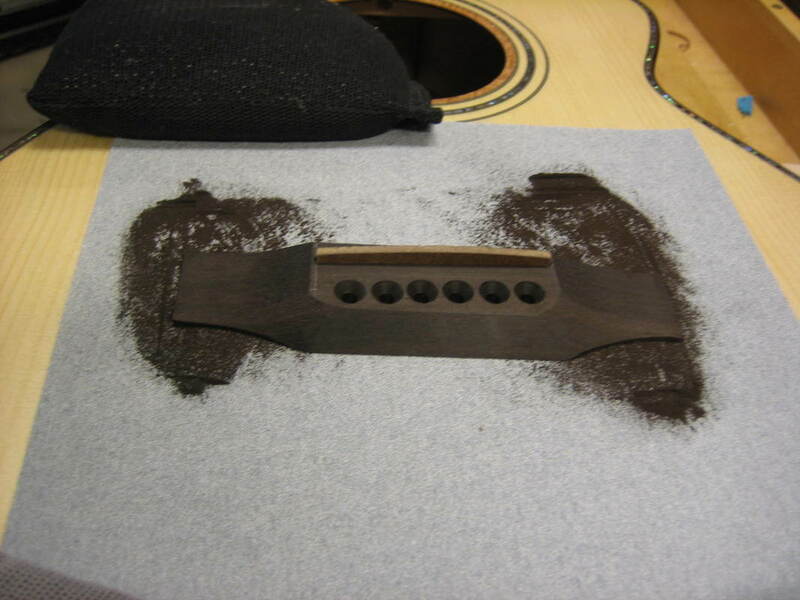 While waiting for the finish to cure, I will be working on the frets and the bridge. 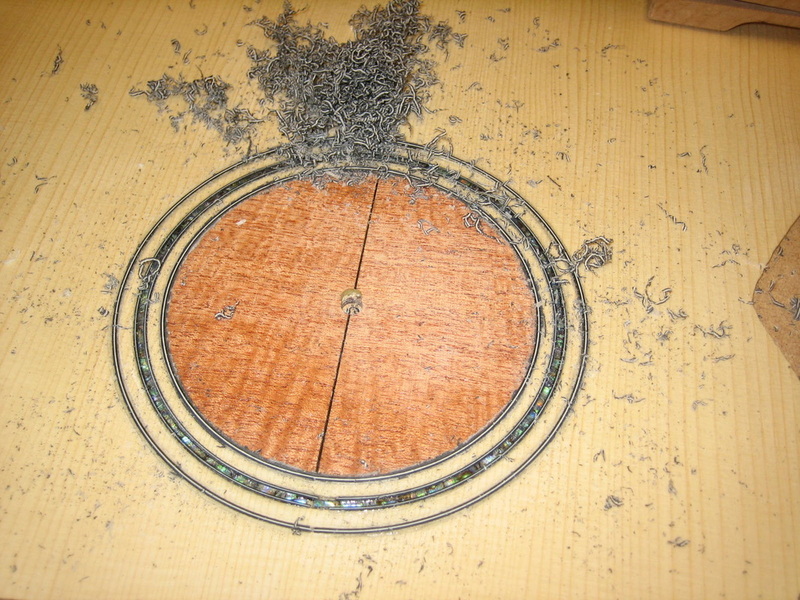 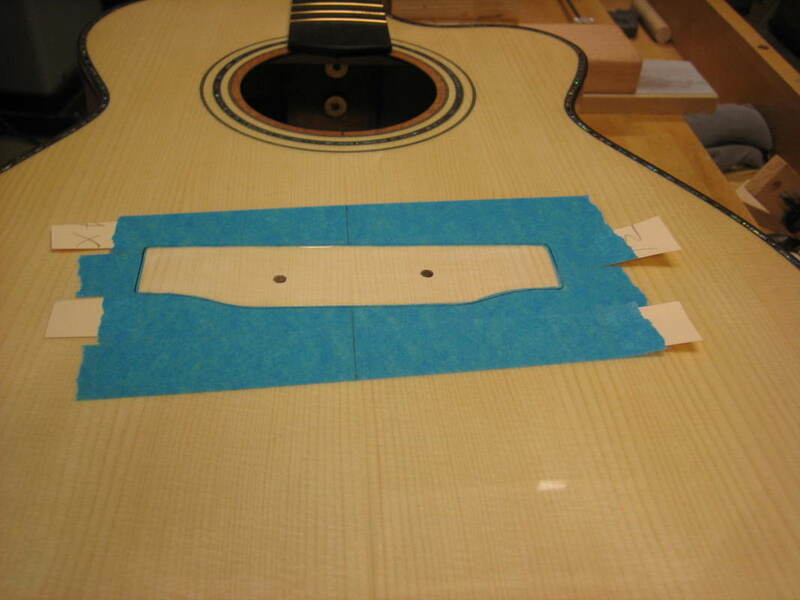 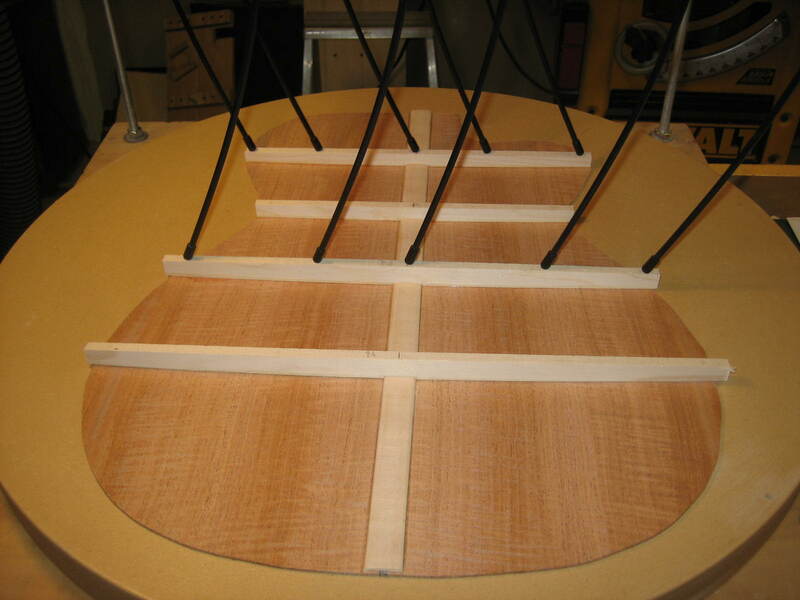 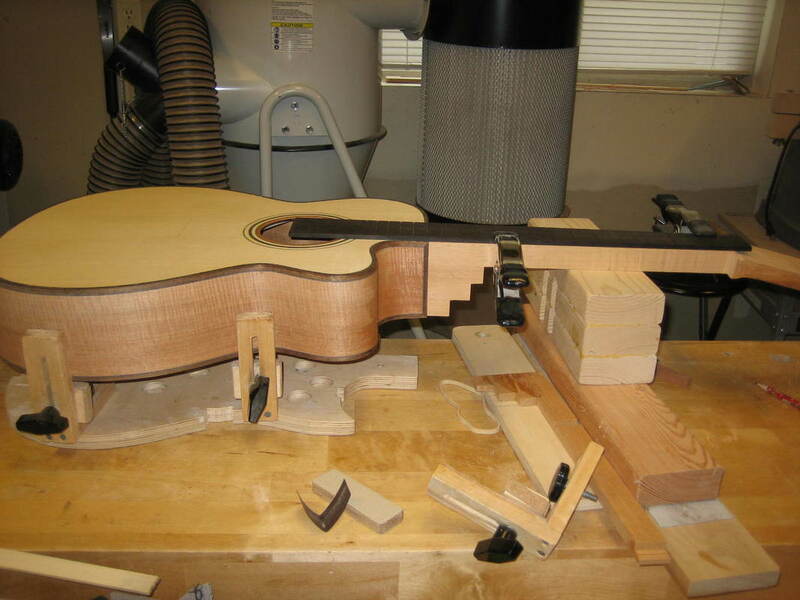 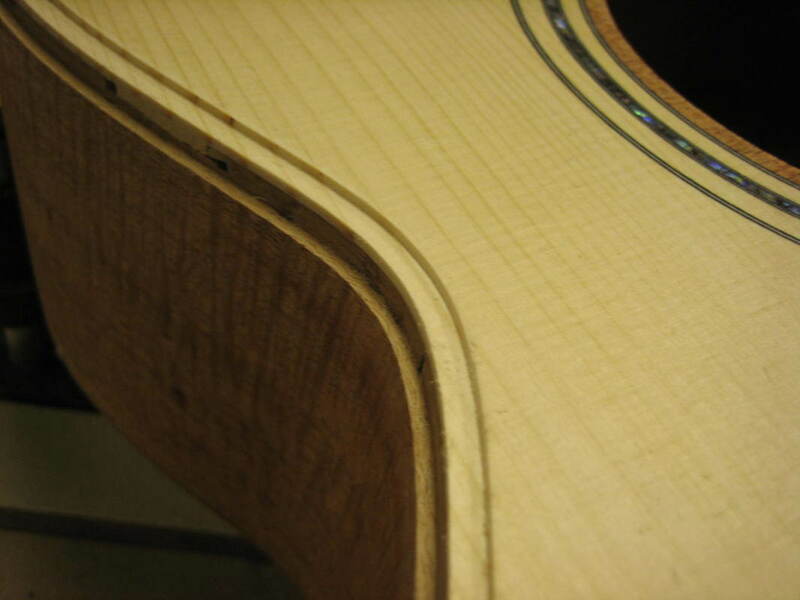 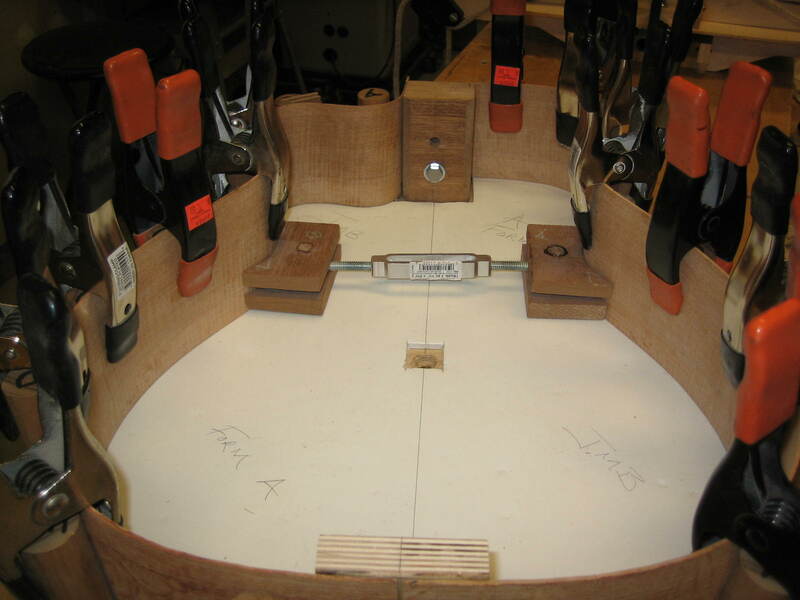 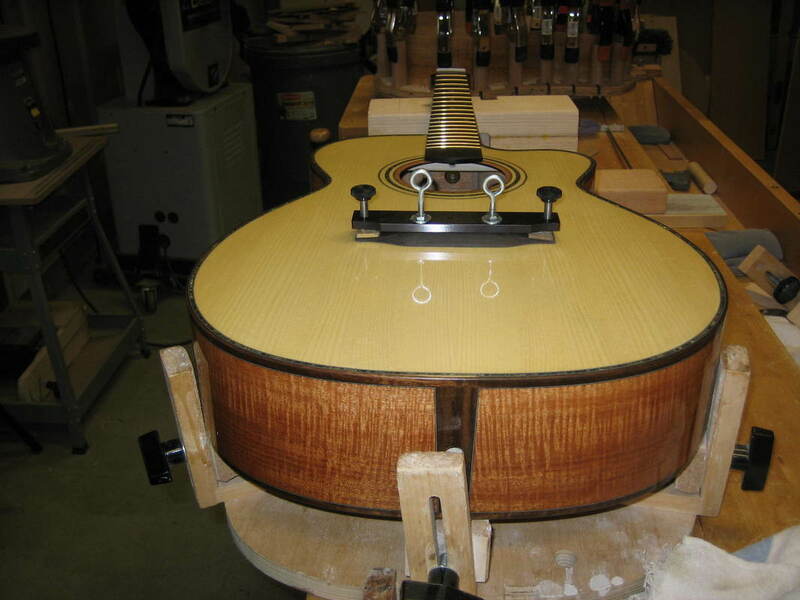 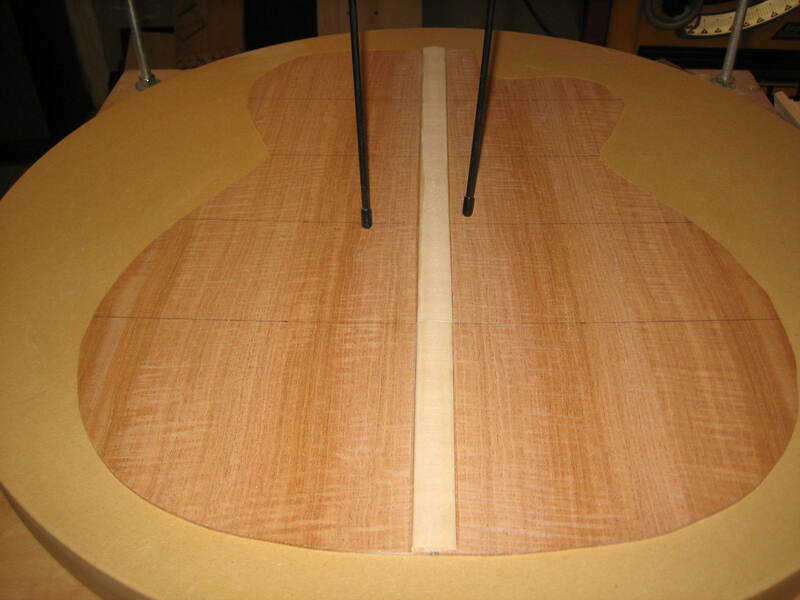 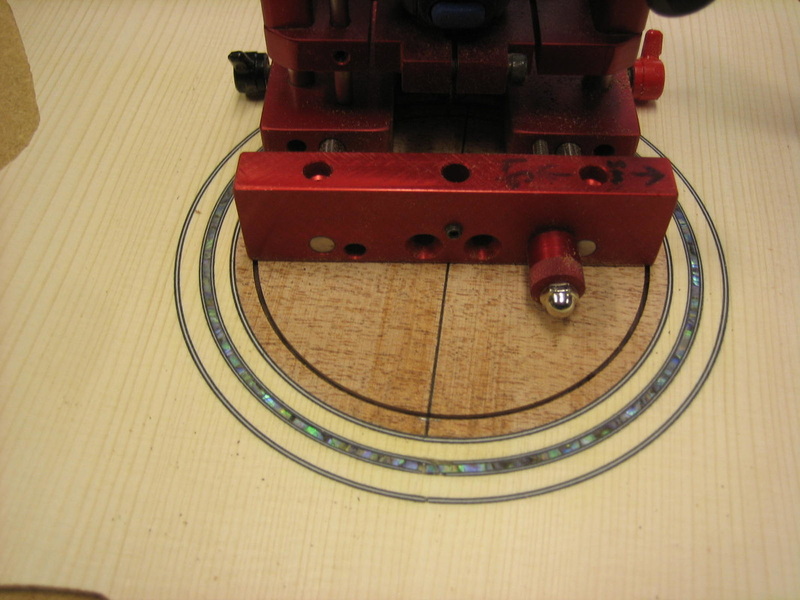 The top of the guitar is not flat, it is built with a 30' radius or dome. 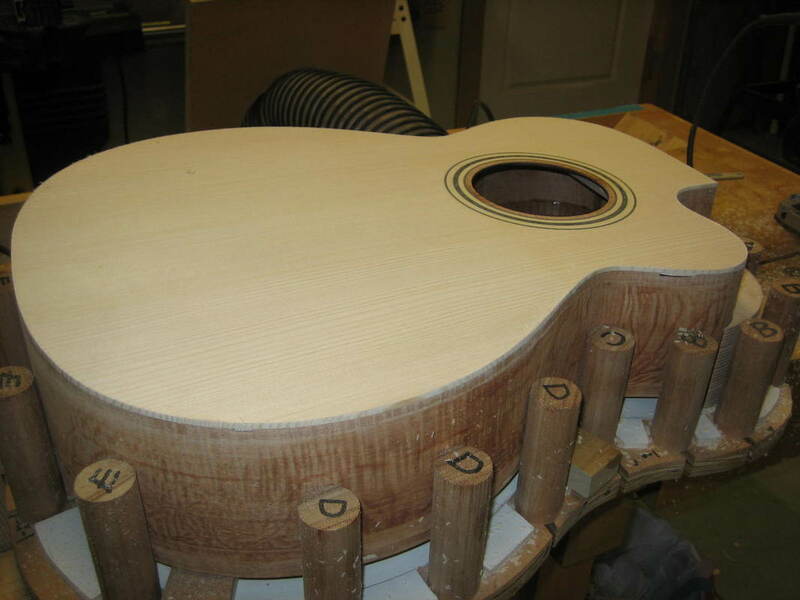 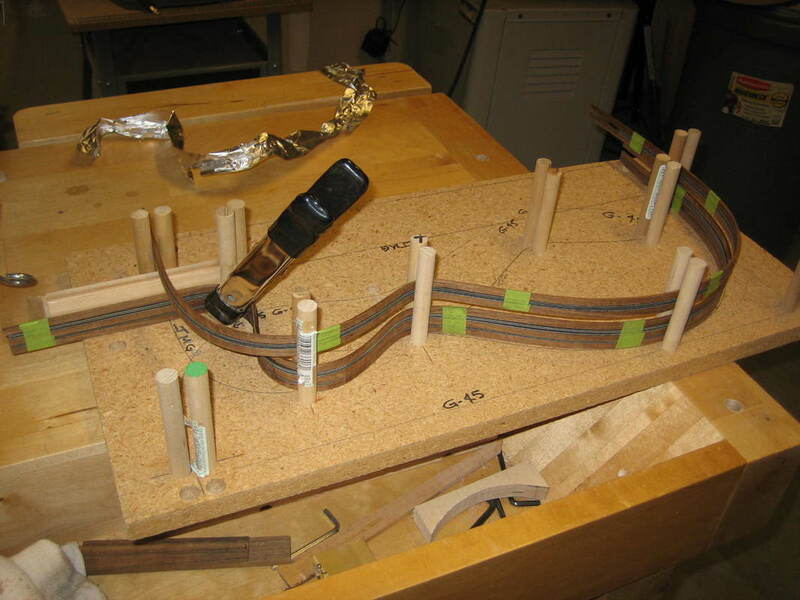 To get the bridge to fit perfectly a 30' radius is sanded into the bottom of the unfinished bridge (in picture below) - using the top of the guitar as a guide. 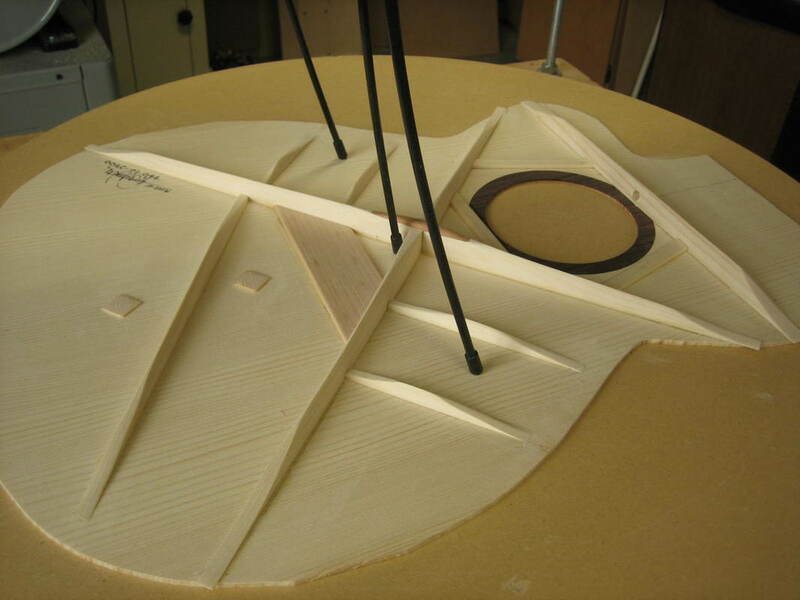 Bridge position is carefully calculated and the finish is scraped off of the bridge foot print area. 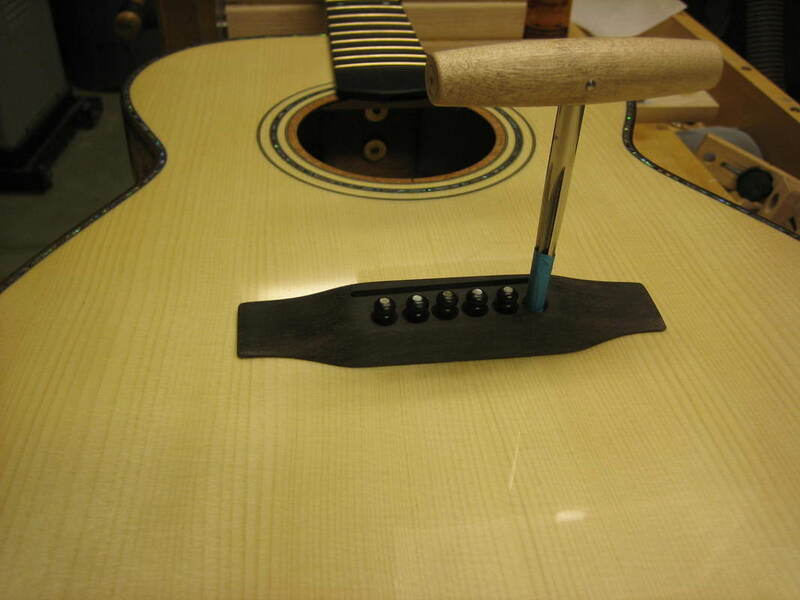 Installing L R Baggs Anthem SL pick up. 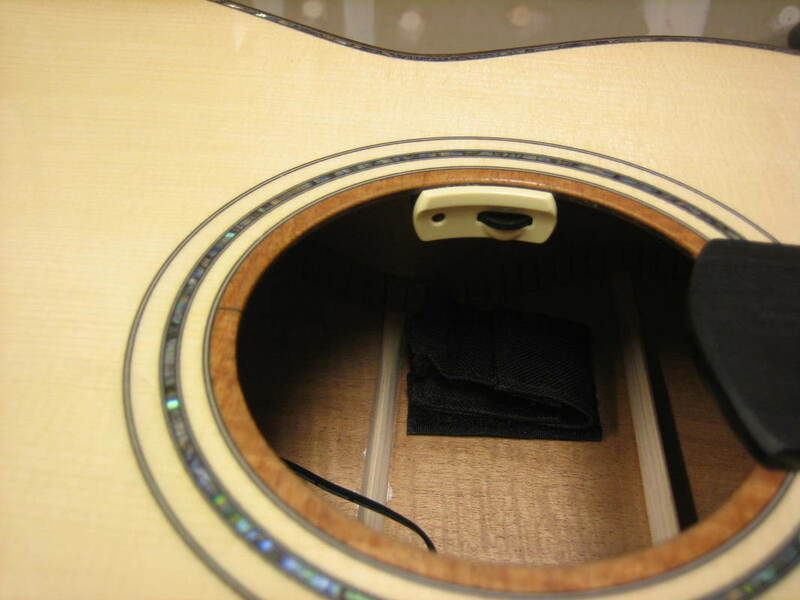 Onboard pre-amp with Lyric microphone and undersaddle pick up. 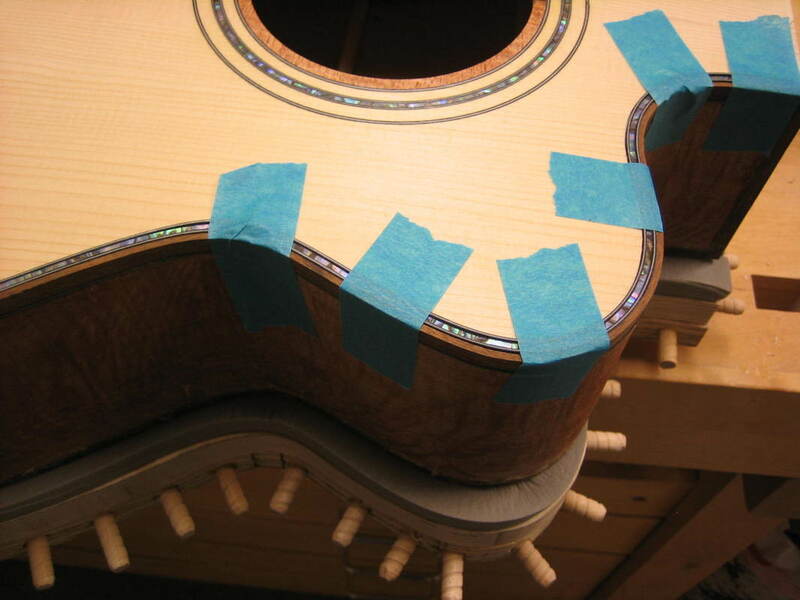 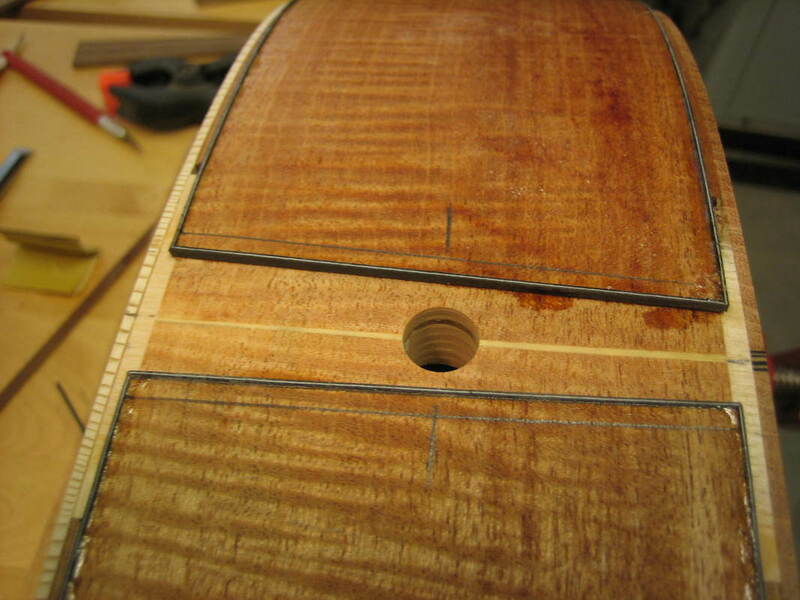 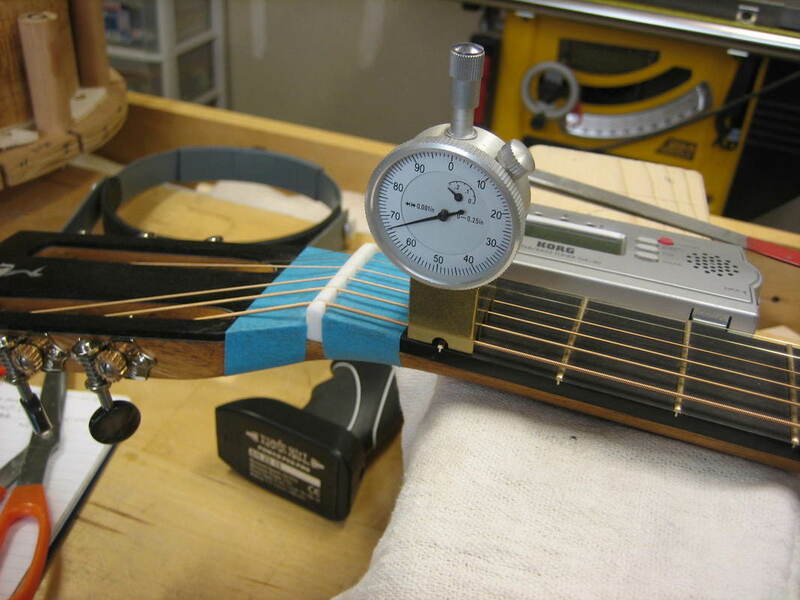 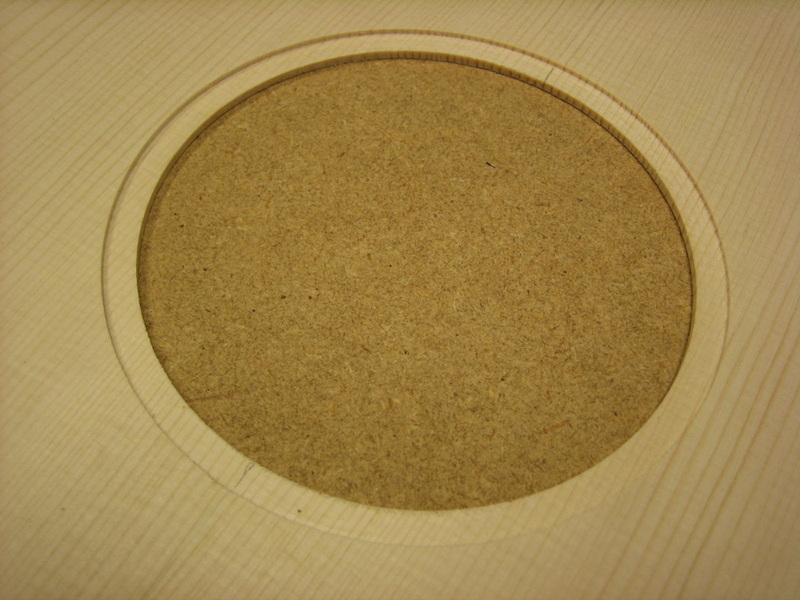 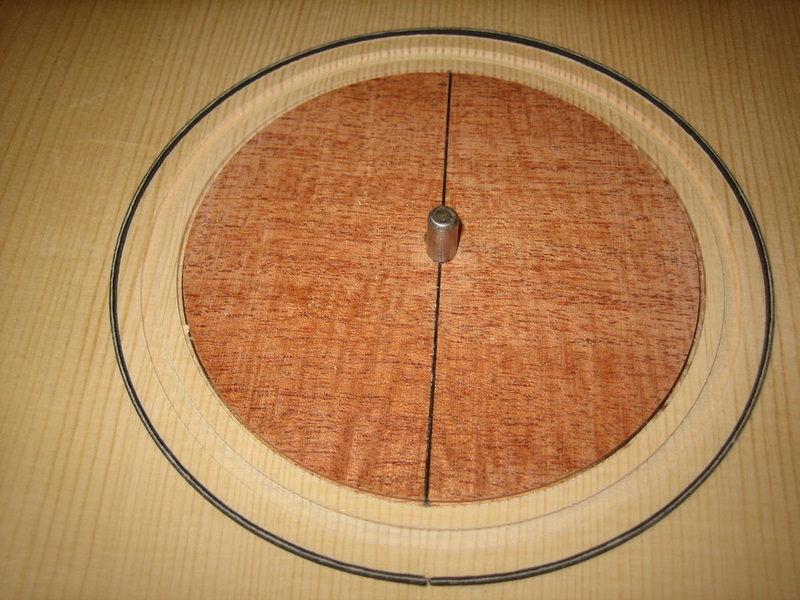 Volume control and balance control at top of soundhole. 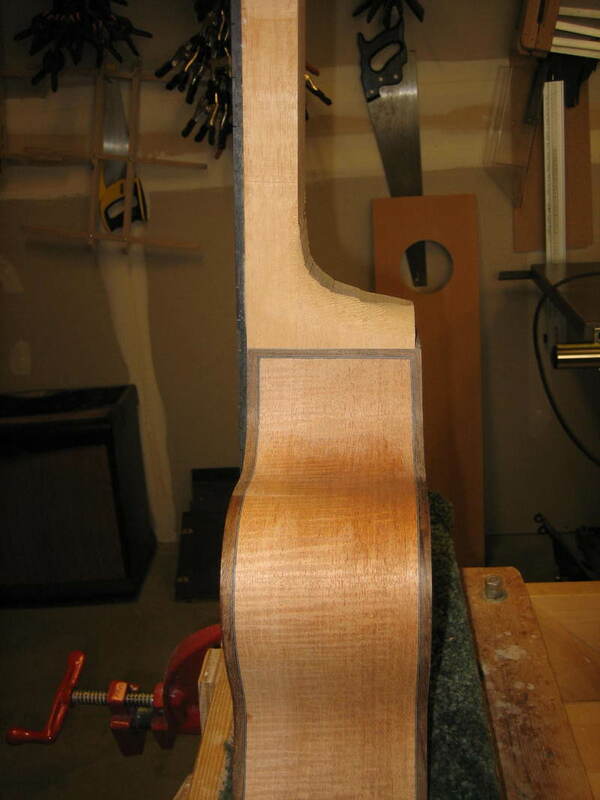 This guitar is essentially complete. 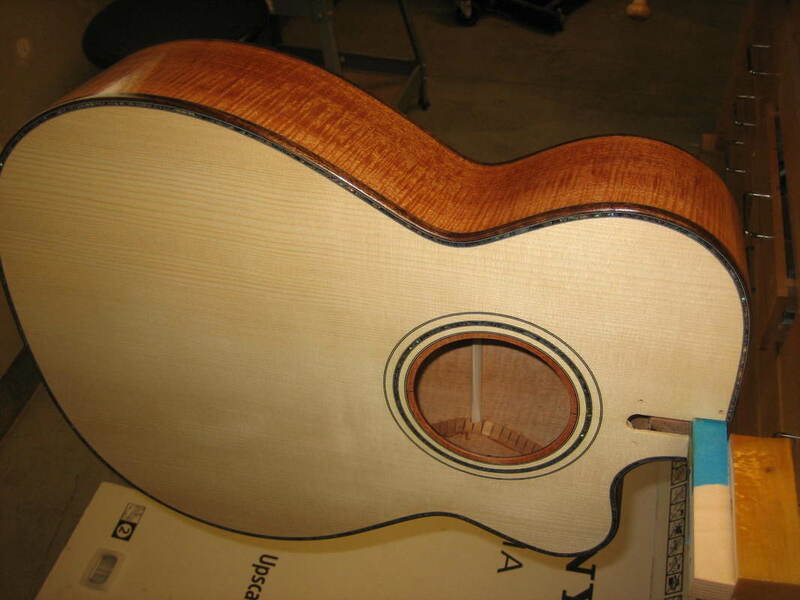 I will be getting photos of the finished guitar this week and will post here soon. 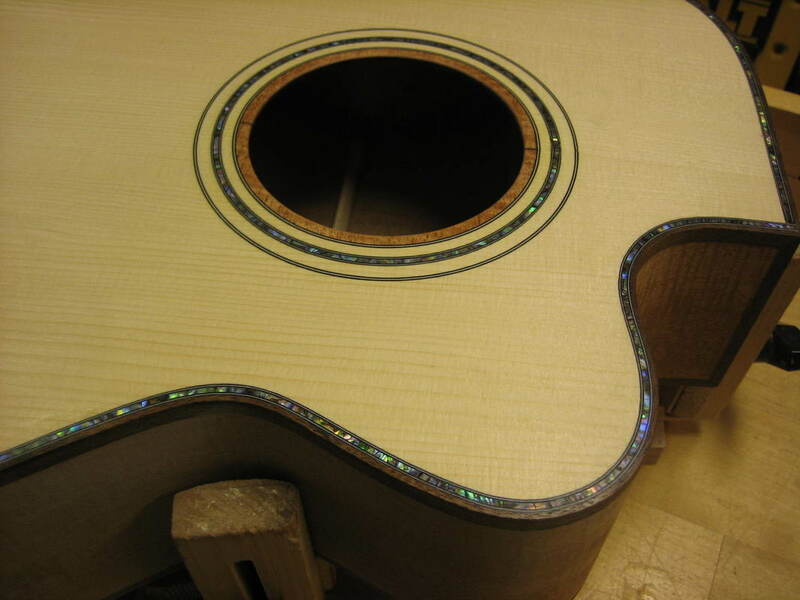 After the photos the guitar will be shipped to "Sunny Jim" in Florida.